At some point on Saturday the millionth person to complete a parkrun in 2016 crossed the finish line. I wonder if it was one of our 171 runners? I still find it amazing that before we start on a Saturday, parkrunners in Australia have long finished, and as we're thinking about dinner, Crissy Field in California is getting going. It really is a global community and one I'm very proud to be part of. 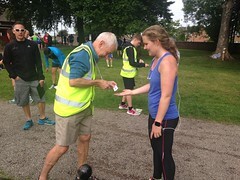 10 first timers and tourists from Temple Newsam, Tees Barrage, St Helens, Durham, Penrith and Workington parkruns were amongst Saturday's finishers. 24 runners recorded new PB's including Colin Nichol, David MacNaughton and Richard Hodgson (no junior PB's to report this week). Well done all. Huge thanks to you all and well done to first time Run Director Louisa - the run brief was excellent! 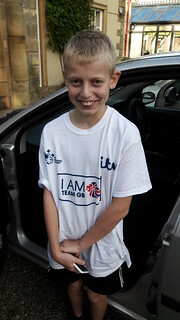 Family Carter then teamed up with Louisa to process the results and did so perfectly - my volunteer and result text arrived before I sat down in Sainsbury's to eat my breakfast! Don't forget to let us know if you can help. As we move into winter we appreciate all our volunteers more and more. It's time for layers, hats and gloves! All our volunteer info can be found HERE . Congratulations to Wayne Watson on (finally) joining the 50 Club. It's been a long time coming as Wayne works most Saturdays! Paul M GRAVES (DH Runners) 3766 pts. Robert HASTINGS (Unattached) 3362 pts. Chris KNOX (Carlisle Sheepmount RC) 3126 pts. Annika STUMPF (DH Runners) 3764 pts. Julie DODD (DH Runners) 3560 pts. Louise DUFFY (DH Runners) 3460 pts. Paul M GRAVES (VM35-39) was graded 78.50% for the time 17:08 (first overall). James BUIS (VM35-39) was graded 77.72% for the time 17:26 (second overall). Sue RAMAGE (VW60-64) was graded 75.95% for the time 25:55 (70th overall). As you are all aware the recent & ongoing success of our event is based completely on YOU our volunteers. Over the next couple of weeks & months we are going to have a bit of recruitment drive to attract some more (new faces) volunteers to our ranks. This is largely so we are not reliant on the same volunteers sharing the roles week in week out. 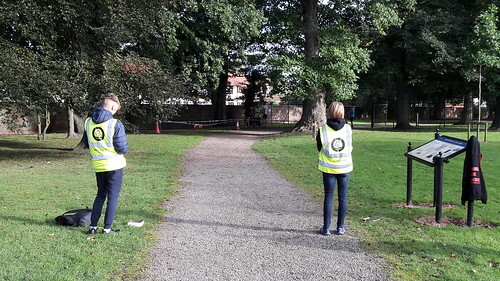 *Confirm that course is safe and hazard free, that can be either by helping in set up - confirming with the set up team it was fine - or simply by walking the park before the volunteers turn up. *Make sure the volunteers all know their roles for the day. These are on the volunteer roster but we also double check everyone is up to speed with what they are doing. *Deliver the run brief to the runners before the run starts. *The RD is the first point of call should anything arise during the run, such as arguments, lost children, the need to call an ambulance, equipment failure etc... All these things are about as serious as the role gets but they are also very very infrequent events. *Afterwards there is also results processing but this role is not essential as part of the RD role on the day as it can be done by another volunteer, however full training is given. If you feel that you would like to become more involved with the team & would also like to train up as Run Director please do not hesitate to contact us via email, in person on Saturday mornings or via social media. We will be holding an extra parkrun on New Years Day. We may even be doubling up with Keswick parkrun (9am in Carlisle - 10.30am In Keswick) as you can officially register 2 parkrun results on New Years Day. Sadly we had to cancel last year due to the weather conditions but fingers crossed we will be good to start 2017 the best way possible. Once again we be holding our Christmas day extra parkrun. 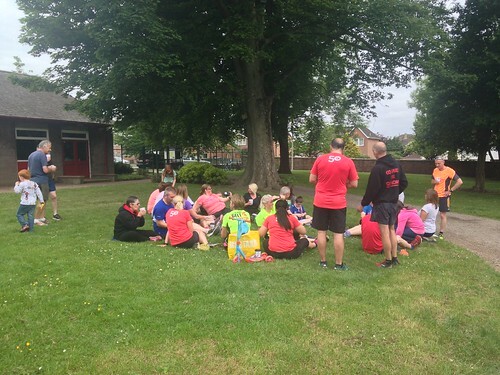 Saturday was a gorgeous day for parkrunning and 203 of you agreed. 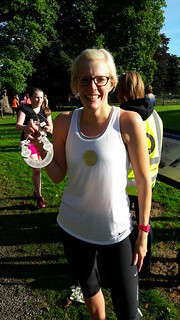 We welcomed 4 first timers, tourists from Brighton & Hove, Woodhouse Moor, Barrow, Reading, Harrogate and Worsley Woods parkruns and bride Caz Millican and friends. I saw Caz on Monday and they had a lovely day - congratulations from all of us - and are now sunning themselves in Abu Dhabi. I love that people decide to start their wedding day with a parkrun! 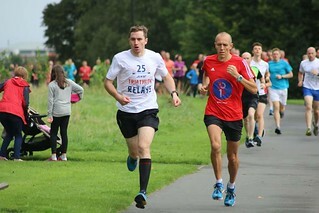 35 runners recorded new PB's on Saturday. A huge well done to all of you including Paula Harmon, Colin Mackenzie, Jp Whalen and juniors Holly Currie, Kaitlyn Hope Cook and Sophie Emmerson. There have now been 6002 PB's since we started. By my reckoning (which may or may not be accurate!) Shaun Burton was our 6000th PB to cross the line! David MacGillivray joined the 100 Club on Saturday and John Murphy the 50 Club. Congratulations both of you. Huge thanks as always to our volunteers. Please do let us know if you'd like to help out. Kieron in the photo above is volunteering as part of his Duke Of Edinburgh Award. If you know of any teenagers who'd be interested, we'd love to have them. 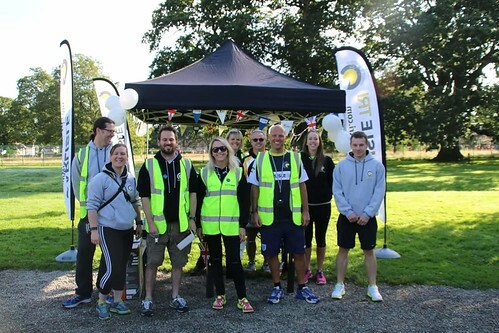 You can use the links at the bottom of this run report to get in touch or visit our volunteer page on the website. Paul M GRAVES (DH Runners) 3166 pts. Robert HASTINGS (Unattached) 2922 pts. Chris KNOX (Carlisle Sheepmount RC) 2715 pts. Annika STUMPF (DH Runners) 3169 pts. Julie DODD (Unattached) 2976 pts. Louise DUFFY (DH Runners) 2948 pts. Caroline WOOD (VW50-54) was graded 81.39% for the time 21:24 (19th overall). Kevin BELL (SM25-29) was graded 77.79% for the time 16:35 (first overall). Paul M GRAVES (VM35-39) was graded 77.45% for the time 17:22 (second overall). 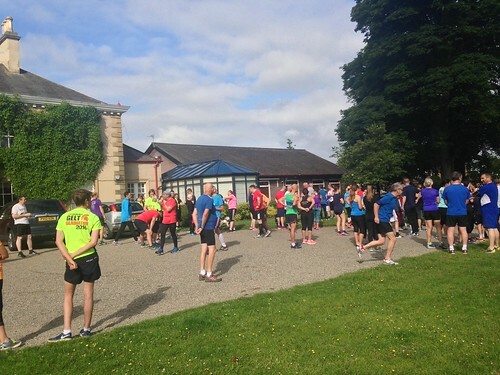 Today's full results and a complete event history can be found on the Carlisle parkrun results page. When I did the run brief on Saturday I didn't think there were many runners at the startline. Then when I stood on the first corner watching you all come around to start your second lap I thought it looked like way more! The final number of finishers - 174 - was somewhere in between my initial thoughts! 5 of you were first timers and this week's tourists came from Horsham, Alice Holt, Sheffield Hallam and Blackhill parkruns. 31 of you ran a new PB. Well done to all of you, including Adele Mitchell, Numan Yusuf, Keith Atkinson and juniors Niamh Campbell, Bradley Dillon and Grady Harrow. 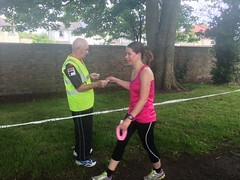 Congratulations to Dennis Tanner on his 50th run (apologies for not giving you a shout out!) and to Ivor Norman on joining the 100 Club. Was great to see his family out to cheer him on and help eat the cake! If you, or someone you know, has a milestone coming up, do let the run director know. We try to catch them all ahead of time but it isn't always possible! Huge thanks as always to everyone. Get in touch if you'd like to help one Saturday, we'd love to have you. use the links below to get in touch or visit our volunteer page on the website for more details. Paul M GRAVES (DH Runners) 3067 pts. Robert HASTINGS (Unattached) 2835 pts. Chris KNOX (Carlisle Sheepmount RC) 2633 pts. Annika STUMPF (DH Runners) 3069 pts. Julie DODD (Unattached) 2878 pts. Louise DUFFY (DH Runners) 2858 pts. Paul M GRAVES (VM35-39) was graded 77.30% for the time 17:24 (second overall). Richard ANDERSON (SM25-29) was graded 74.57% for the time 17:18 (first overall). Teresa MEDLEY (VW45-49) was graded 74.14% for the time 21:51 (21st overall). A quick word about this Saturday - there are a couple of events on at the Manor and parking is going to be EXTREMELY limited. If you can, please consider car sharing, walking or cycling to the park. If you do drive, please please park with consideration for those living around the park. 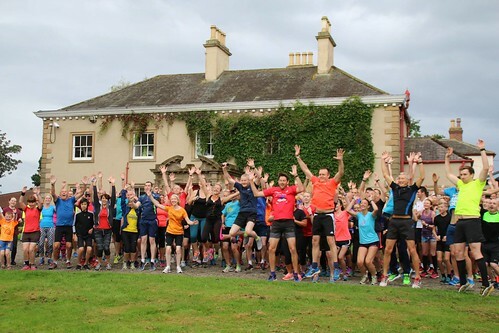 Autumn race season is rapidly approaching and I know many of Saturday's 185 runners are heading to various races over the coming weeks and months. Good luck to all of you! 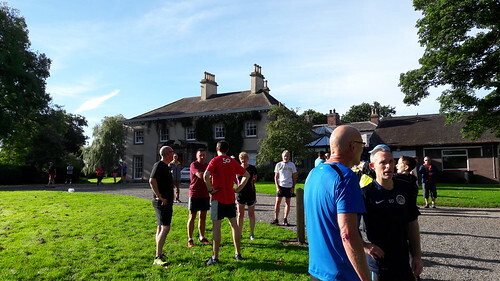 We welcomed 6 first timers (Adele Mitchell, Kellie Ann Fitzgerald, Rob McPhillips, Mairi Welsh, Darren Haney and Sue Hodgson) and tourists from Croxteth Hall, Darlington South, Shorne Woods, Newcastle, Bolton, Warrington, Worsley Woods and Penrith parkruns. 4 runners joined the 50 Club on Saturday. 3 of them - Jill Glencross, Callum Plunkett and Leslie Nixon are Carlisle runners and the 4th, Geoffrey Pennington, was one of our tourists from Warrington. Congratulations to all of you. Our website has all the volunteering info you could ask for. Please get in touch if you'd like to help out. It's really very straightforward (even timekeeping!) and we'd love to have some new people give it a go. 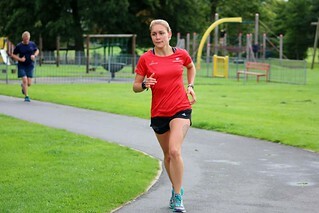 32 runners recorded new PB's. Congratulations to all of you including Gail Robson, Irena Tomankova, Kate Little and juniors Sally Warwick, James Whellans and Charlie Burfield. Paul M GRAVES (DH Runners) 2968 pts. 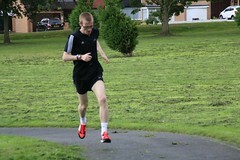 Robert HASTINGS (Unattached) 2747 pts. Chris KNOX (Carlisle Sheepmount RC) 2550 pts. Annika STUMPF (DH Runners) 2969 pts. Julie DODD (Unattached) 2780 pts. Louise DUFFY (DH Runners) 2765 pts. Gordon CHISHOLM (VM45-49) was graded 77.70% for the time 18:32 (5th overall). Kevin BELL (SM25-29) was graded 75.81% for the time 17:01 (first overall). Lindsay MECHIE (VM45-49) was graded 74.53% for the time 19:38 (10th overall). Enjoy the rest of the week. 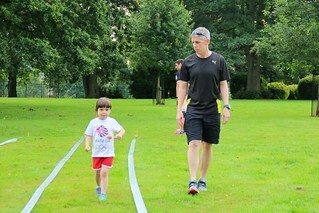 It's nearly parkrun time again! I think it's fair to say the post-parkrun fun as part of the #IAmTeamGB Olympic celebrations were a huge hit. 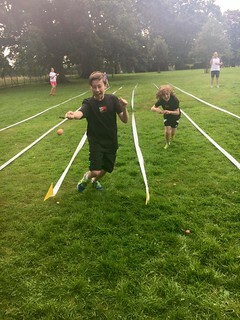 Lindsay did an amazing job organising it all, and the 3-legged and egg & spoon races were enjoyed by young and old alike. 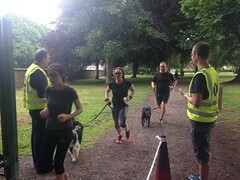 But before we got to the games, there was the usual Saturday morning business of parkrun itself. 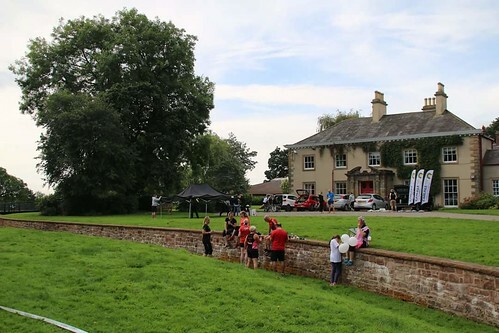 We had 217 finishers of which 17 were first timers and we welcomed tourists from Princes, Mt Clarence (Australia), Croxteth Hall, Oakwell Hall, Cuerden Valley, Lancaster, Bolton, Workington, Cambridge, Wolverhampton, Bangor, Bramhall and Milton Keynes parkruns. Phew! 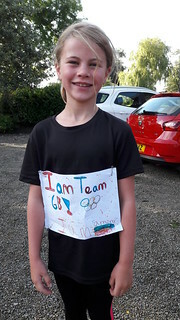 The following 16 people recorded new PB's...........Shaun Greenup, Emma Byers, Mark Harkness, Lucy Jane Cook, Lee Doswell, Thomas Carroll, Paul McKnespiey, Sophie Bell, Tony Hartley, Terri Rea, Deborah Harrison, Helen Gardner, Kate Little, Chris Radcliffe, Lisa Smith and Wayne Laird. Congratulations to all of you. 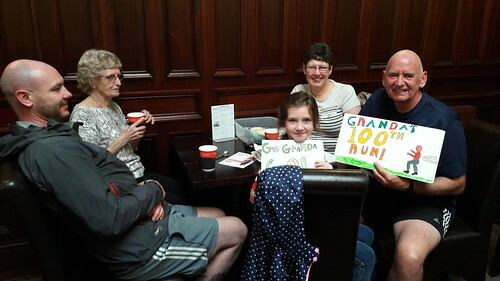 Congratulations to John McGibbon on his 100th run, Glenda Howson on her 50th and junior Leah McManus on joining the 10 Club. Paul M GRAVES (DH Runners) 2873 pts. Robert HASTINGS (Unattached) 2663 pts. Chris KNOX (Carlisle Sheepmount RC) 2474 pts. Annika STUMPF (DH Runners) 2869 pts. Julie DODD (Unattached) 2682 pts. Louise DUFFY (DH Runners) 2675 pts. David THOMPSON (VM35-39) was graded 74.93% for the time 17:49 (first overall). Paul MCKNESPIEY (VM40-44) was graded 74.82% for the time 18:48 (4th overall). Lindsay MECHIE (VM45-49) was graded 72.86% for the time 20:05 (9th overall). Just in time for this week, it’s last week’s run report! It was blustery and wet on Saturday but it didn't stop 175 of you crossing the finish line. We welcomed 8 first timers and tourists from Roundshaw Downs, Wolverhampton, Cross Flats, Bedford, Reading, Leamington and Lancaster parkruns. Huge thanks to you all. My friend, visiting for the first time, commented on how friendly our marshals are. Please do let us know if you can help out in the future. Our volunteer page can be found HERE . 21 new PB's were recorded last weekend. Congratulations to all of you, including Andy Sweetman, John Billett, Lee Lowis and juniors Bradley Dillon, Owen Neale and Lennon McNee. Paul Attwood joined the 100 Club and Jacob Harris the junior 10 Club. Congratulations both of you! For anyone waiting to order their milestone tshirts - keep checking your profile and stay patient, it'll be worth the wait! Robert HASTINGS (Unattached) 2577 pts. Chris KNOX (Carlisle Sheepmount RC) 2392 pts. Annika STUMPF (DH Runners) 2769 pts. Bethany DUFFY (DH Runners) 2588 pts. Kazuyo MORI (VW65-69) was graded 83.38% for the time 26:16 (85th overall). Tom HIGGS (SM20-24) was graded 77.12% for the time 16:54 (first overall). David THOMPSON (VM35-39) was graded 73.55% for the time 18:09 (third overall). Don't forget this Saturday we are taking part in the I Am Team GB celebrations. 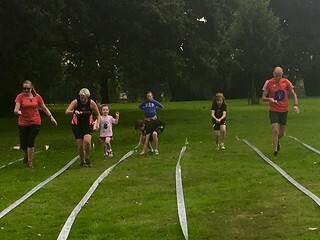 Carlisle Tri club will be bringing their turbo trainers along so you can turn parkrun into a duathlon and DH Runners will be putting on some mini sports day events (think egg & spoon!). It should be a great morning! Well, what a weekend! 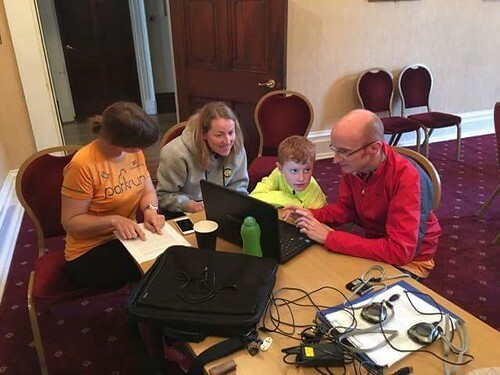 Between parkrun on Saturday and The Lakesman triathlon on Sunday, there wasn't much downtime and it only occurred to me yesterday that I hadn't written the run report. I can't start without congratulating our very brilliant Event Directors Andrew & Kev on completing The Lakesman (for those of you who don't know, it entails a 2.4mile swim, 112mile bike and a full marathon). They were both amazing. Well done guys! 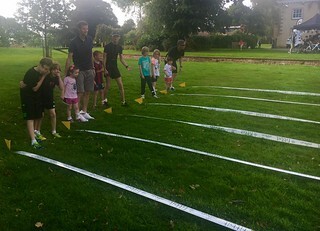 It was also great to see so many parkrunners in Keswick supporting the athletes and/or volunteering in some capacity. It was a wonderful (but long!) day - roll on next year! 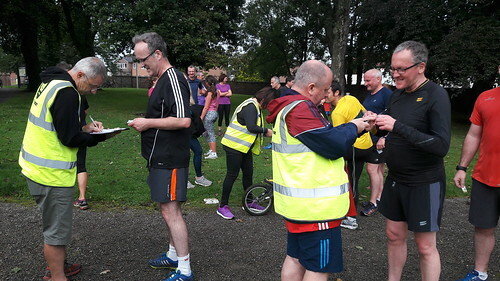 Back to Saturday - 206 of you crossed the finish line, including 15 brand new parkrunners. 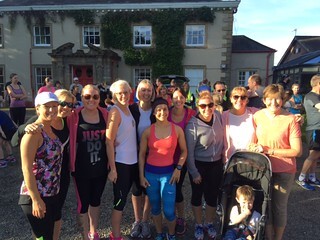 We welcomed tourists from Concord, St Albans, Colwick, St Andrews, Daventry, Hampstead Heath and Keswick parkruns. 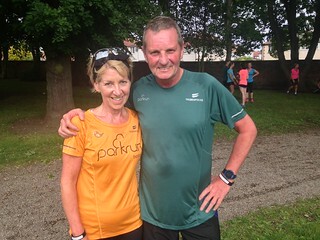 You may have noticed the lesser-spotted 250 club tshirt on your way round the park - that belonged to Bolton parkrunner Barry Shackleton. A huge thanks to all our volunteers. You all did a great job which in turn makes the Run Director's job nice and simple! 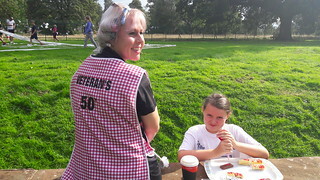 Anni Stumpf, Susan Steel and Joanne Graves (who can't quite believe she's done so many parkruns) all joined the 50 Club. Congratulations to all three of you and thanks for the cake! 33 of you recorded new PB's. Congratulations to all of you, including first finisher Ross Landon, Stephen Alecock, Vicky Bulman and juniors Ellis Graves, Joshua Liddle and Harry Dodd. Robert HASTINGS (Unattached) 1989 pts. Paul M GRAVES (DH Runners) 1983 pts. Chris KNOX (Carlisle Sheepmount RC) 1684 pts. Annika STUMPF (DH Runners) 2077 pts. Bethany DUFFY (DH Runners) 1961 pts. Louise DUFFY (DH Runners) 1956 pts. Rory LONGMORE (VM55-59) was graded 81.58% for the time 19:00 (9th overall). Franc KARPO (VM60-64) was graded 78.02% for the time 20:33 (19th overall). Paul M GRAVES (VM35-39) was graded 77.52% for the time 17:21 (second overall). Enjoy the rest of the week - it'll soon be Saturday. Don't forget your barcode!